This capped sleeve ‘burn out’ shirt will definitely leave you feeling chilled! 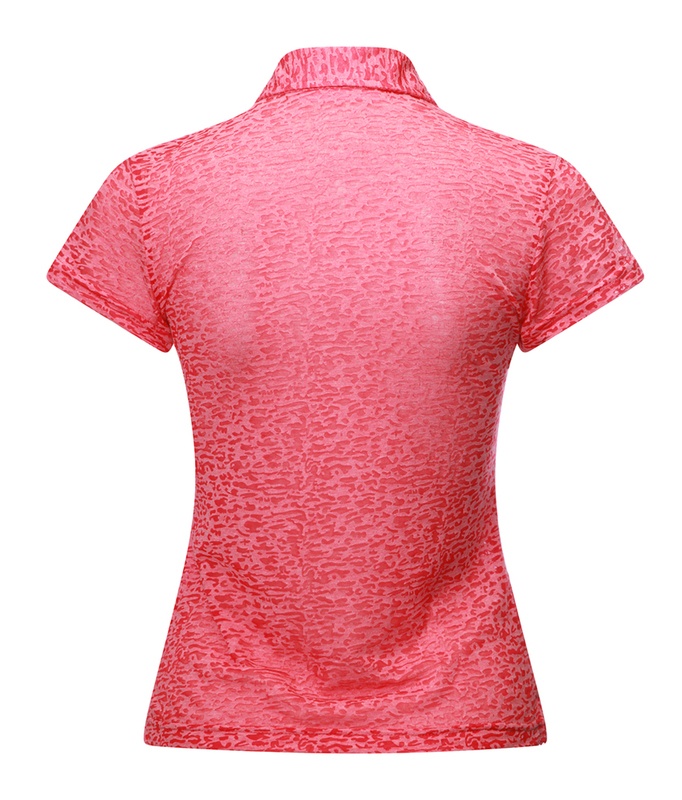 Clever detailing and fitting will give you that sense of sparkle as you take to the first tee. Fun, Frisky and feminine, it happens to be one of our favourite polos. It is breathable, stretchable moisture wicking and dry cool. Material: 70% Rayon. 5% Spandex. 25% Polyester.